The renowned educational group “Montfort Brothers of St. Gabriel EducationalSociety” has opened its new branch namely Montfort School following the CBSE pattern in Nagpur.This group has more than 180 educational institutions abroad, in 33 countries. 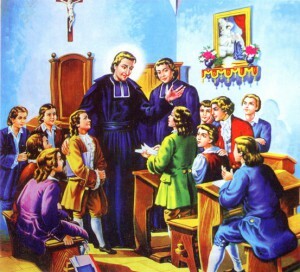 Montfort School is managed by the Religious Society of the Montfort Brothers of St. Gabriel ,founded by St. Louis Marie Grignion de Montfort of France in 1715.As early as 1903 the Brothers arrived in India to educate the youth of the country .Today ,Brothers serve over 180 educational establishments throughout the country. The Brothers in India serve the society in different capacities .They play an active role in setting up schools, Technical Institutes, Colleges of higher learning, rehabilitation of blind and deaf, care for the aged, disabled and orphaned, youth organization, in the slums, remote tribal villages and in movement for human rights.